co-ordinated by theEuropean Music Council - EMCNewsletter No. 1EditorialDear Reader,‘Cultural diversity’, ‘European cultural identity’ and ‘inclusion of minority cultures’ arenowadays top priorities for many music organisations in Europe. Cultural operators andpolitical decision makers are conducting a significant discussion on European culturalidentity and diversity – including influences from outside Europe.The ExTra! Exchange Traditions project aims to enhance the understanding of theculture of each other‘s neighbours. ExTra! will stimulate exchange between differentmusic traditions present in today‘s multicultural Europe. 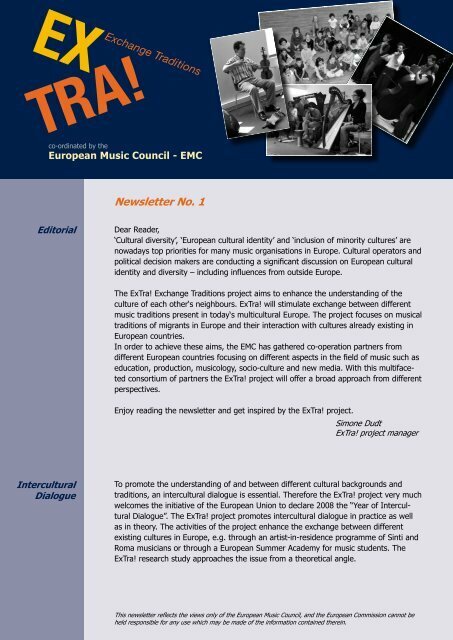 The project focuses on musicaltraditions of migrants in Europe and their interaction with cultures already existing inEuropean countries.In order to achieve these aims, the EMC has gathered co-operation partners fromdifferent European countries focusing on different aspects in the field of music such aseducation, production, musicology, socio-culture and new media. With this multifacetedconsortium of partners the ExTra! project will offer a broad approach from differentperspectives.Enjoy reading the newsletter and get inspired by the ExTra! project.Simone DudtExTra! project managerInterculturalDialogueTo promote the understanding of and between different cultural backgrounds andtraditions, an intercultural dialogue is essential. Therefore the ExTra! project very muchwelcomes the initiative of the European Union to declare 2008 the “Year of InterculturalDialogue”. The ExTra! project promotes intercultural dialogue in practice as wellas in theory. The activities of the project enhance the exchange between differentexisting cultures in Europe, e.g. through an artist-in-residence programme of Sinti andRoma musicians or through a European Summer Academy for music students. TheExTra!  research study approaches the issue from a theoretical angle.This newsletter reflects the views only of the European Music Council, and the European Commission cannot beheld responsible for any use which may be made of the information contained therein.